We begin our walk at the intersection of Doctor Vicente Zaragozá Street with Emilo Baró Street. This is the site of one of the level crossings where you could pass the tracks that separated Benimaclet from Valencia. We remember here the so-called little train struggles, LUCHAS DEL TRENET,. There were demonstrations of all kinds to vindicate the elimination of the physical barriers and a reduction of the danger of the old tracks that divided the neighbourhood in two. 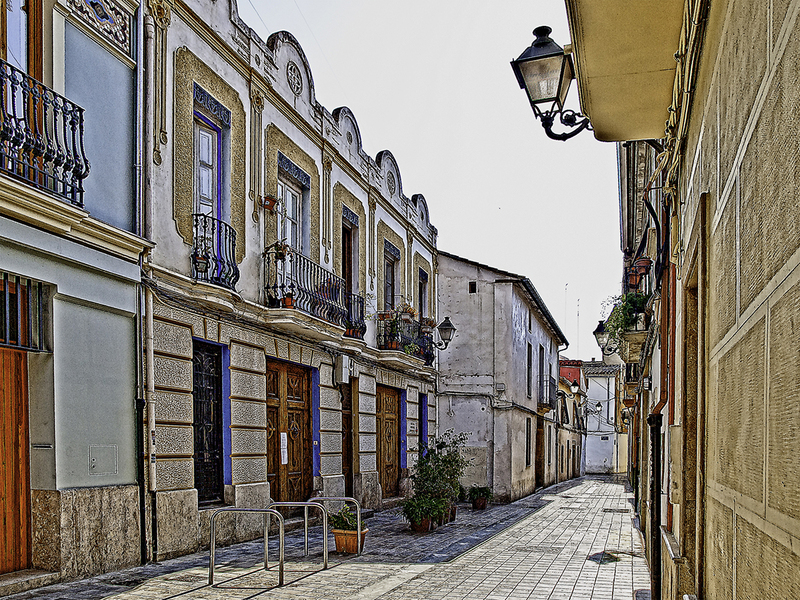 Standing here we can also remember the rows of houses known as the BARRIO DE MASCARELL,. 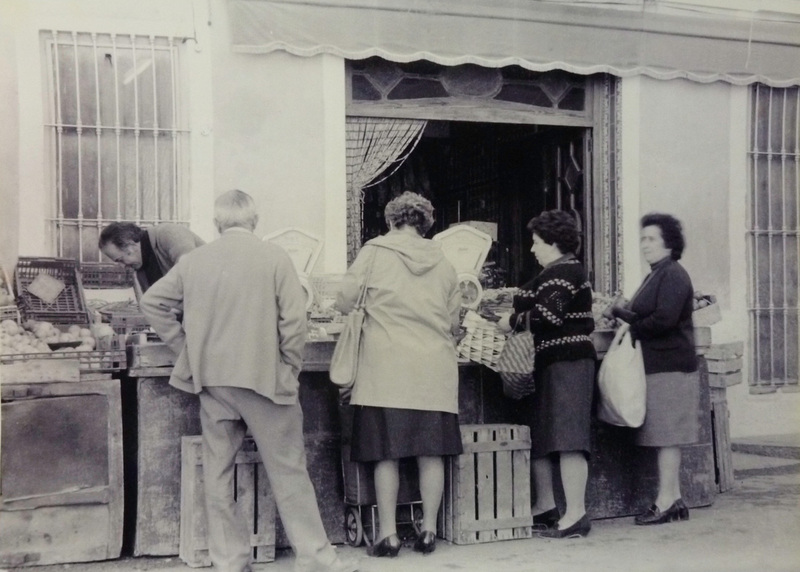 It consisted of 30 housing units for some of the workers of the cooperative La Prosperidad, which has a sign in number 8 Albocácer Street.We walk along the tracks towards the sea. Today this street has been transformed into a nice commercial boulevard that naturally integrates the modern tram that replaced the old “little train”, a very important change for the residents of the area. 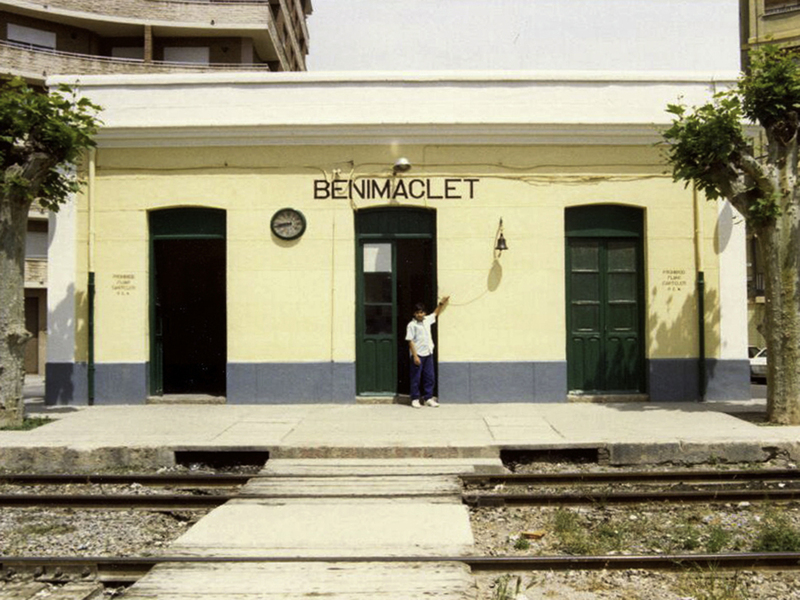 In this street, we discover the place of the old train stop, APEADERO, which was more used than the station itself because it was closer to the historical centre of the Benimaclet. Further on we come to the station itself, ESTACIÓN DEL TRENET, close to the present tram stop. 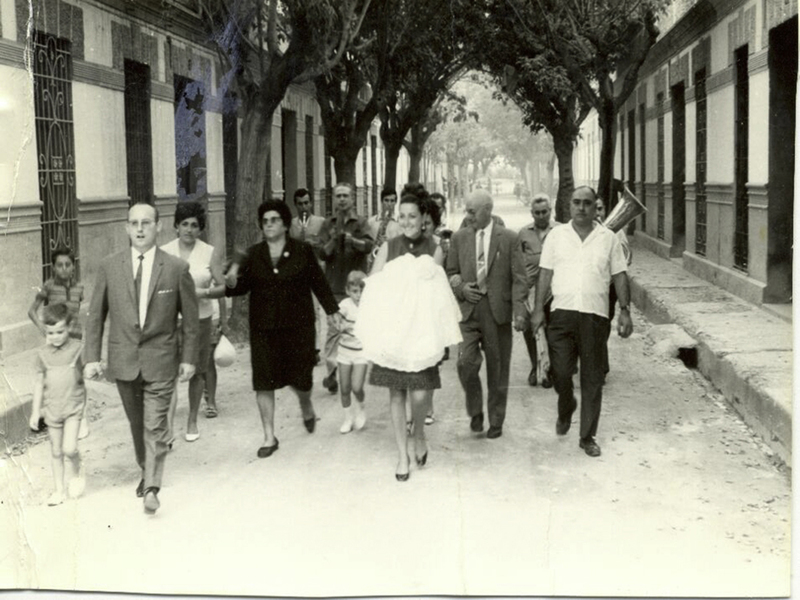 Just a short step further on, to our right, is where the area known as BARRIO DE SANTA ANA, used to be, approximately where the high school INSTITUTO FERRER I GUARDIA. is now. 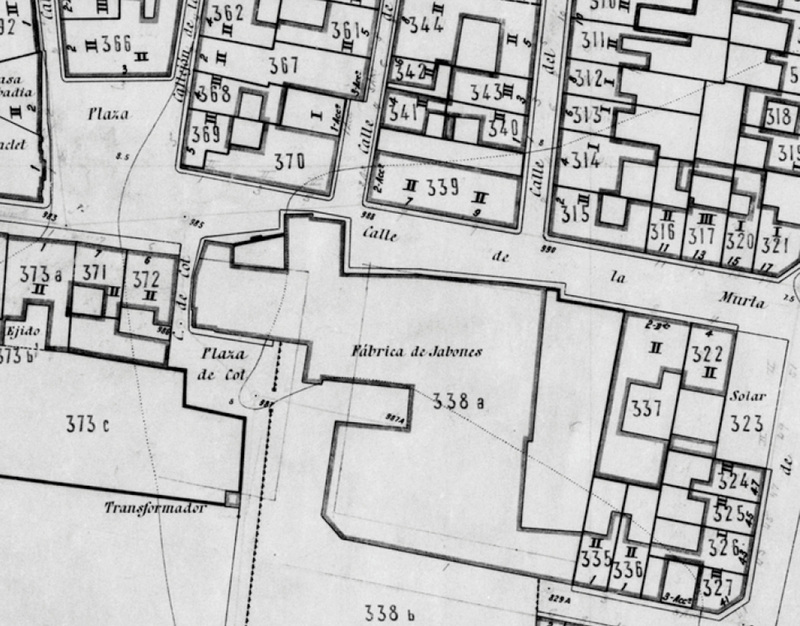 Originally it was felt to be somewhat far from the centre of Benimaclet. We come to where the motorway to Barcelona crosses our route. 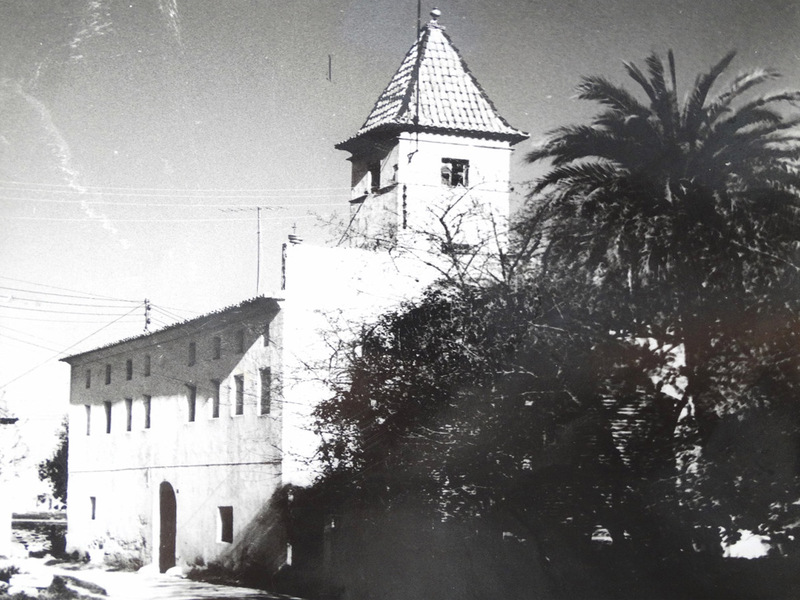 This was the place of the controversial CÁMARAS BECCARI, a building used for recycling the city rubbish. It was very much criticized in its times and the neighbourhood movement managed to get it demolished because it was considered unhealthy. Due to a paradox of history, there is in this spot today a new centre for health research, the CENTRO SUPERIOR DE INVESTIGACIÓN DE SALUD PÚBLICA. 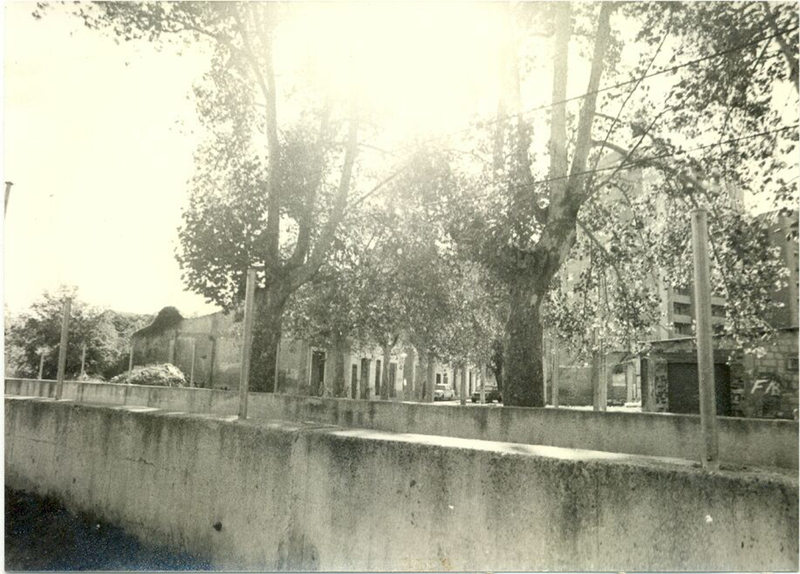 We now walk through the spacious gardens of Guardia Civil Street and arrive at the building called CHALET VISTA ALEGRE, which nowadays houses the municipal district board (Junta Municipal de Distrito). 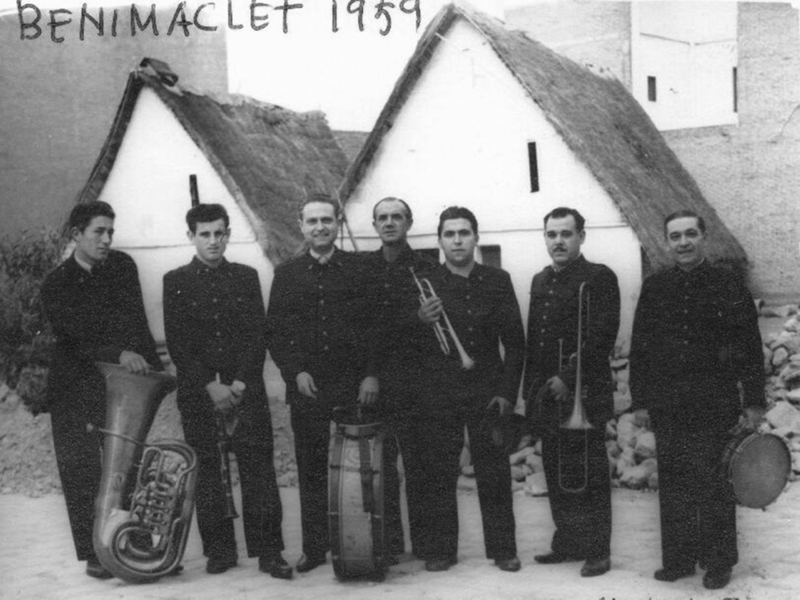 The residents of Benimaclet have known it popularly as “Casa Cafis” or “Chalet Martí”. A few metres from there, in a small but quite lush park, is the new health centre, CENTRO DE SALUD, built by C. Salvadores. It is now the health centre for the whole population of Benimaclet. Continuing along Guardia Civil Street, we end this route at a rather special building, one of the few examples in the city of Valencia where the access to all the flats is by way of an open hallway. It is the EDIFICIO TRAMOYERES, popularly known as “the Beehive” (La Colmena) because of this organization. 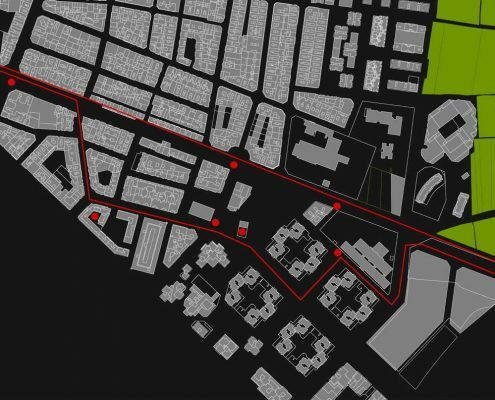 After having finished this route we can return towards the centre of the neighbourhood along the twisting Cuenca Tramoyeres Street. It formed part of the old Benimaclet road, CAMINO VIEJO DE BENIMACLET, which winded its way through the orchards from Valencia to reach Benimaclet, on the other side of the river Túria. 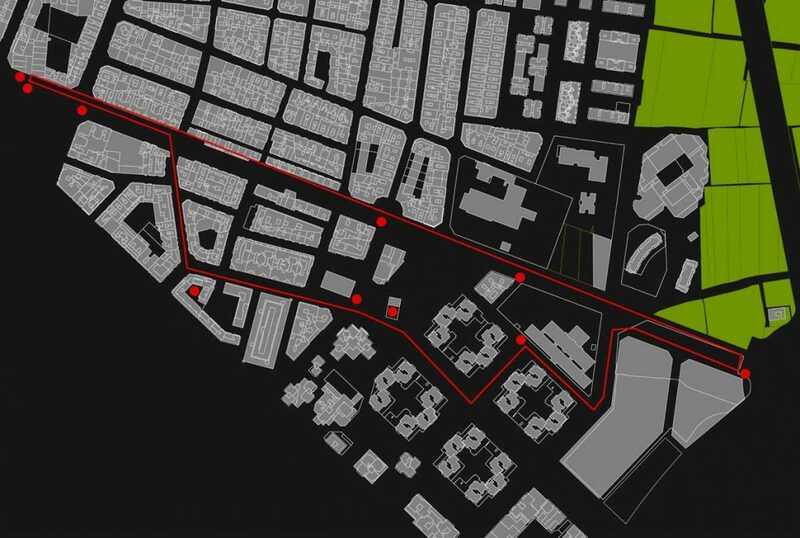 For travellers who would like to prolong this route and discover a small jewel that gives proof of the original location of this road, we invite you to cross Primado Reig Avenue and walk past the German School (Colegio Alemán) to the next block. Here, isolated among high-rise buildings, a small old village house survives. It still carries on its façade a sign showing that this was the road from Valencia to Benimaclet.